I loved this book. It gives hope to a struggling marriage ( of 29 years). It's never to late to grow and mature. 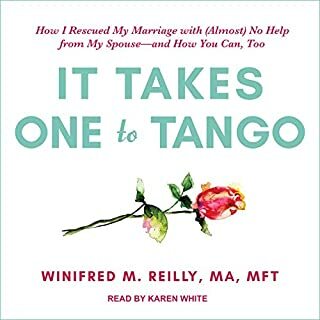 This book is funny and has practical advice on how one person can help change the dynamics of the relationship. Thank you Winifred for writing this book!